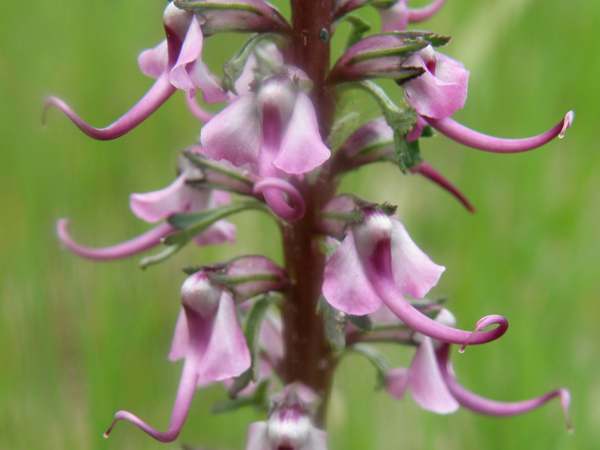 Never has a common name been more appropriate than this one; the flowers really do resemble an elephant's head with a long trunk and droopy ears on either side of it. See this and you really are seeing pink elephants! 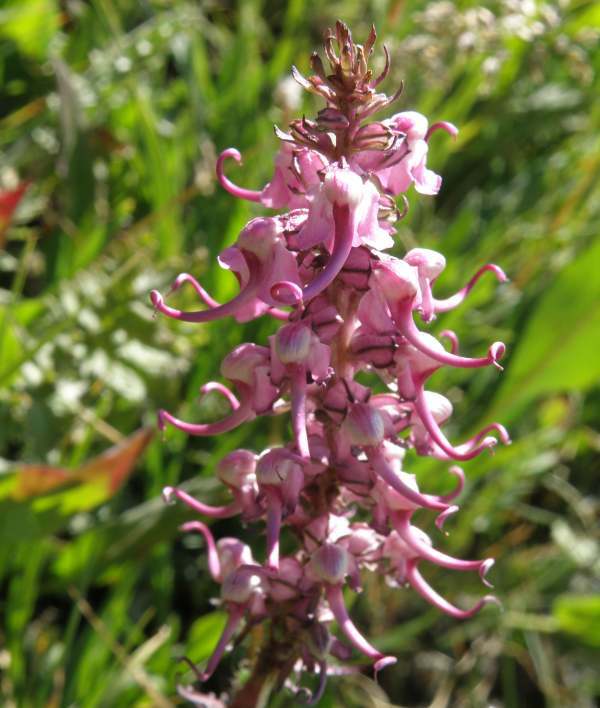 From a distance this plant could be easily mistaken for an orchid, both because of the shape of its infloresence and its pink colour reminiscent of so many orchids found in Europe. Elephant's Head grows to a height of around 70cm and forms dense colonies of plants in moist hollows or damp meadows. In a good year there are literally carpets of Elephant Head in favoured spots. In Rocky Mountain National Park, Elephant's Head (also referred to as Elephanthead) is more common on the western side than the east, and it occurs high up in the mountains. 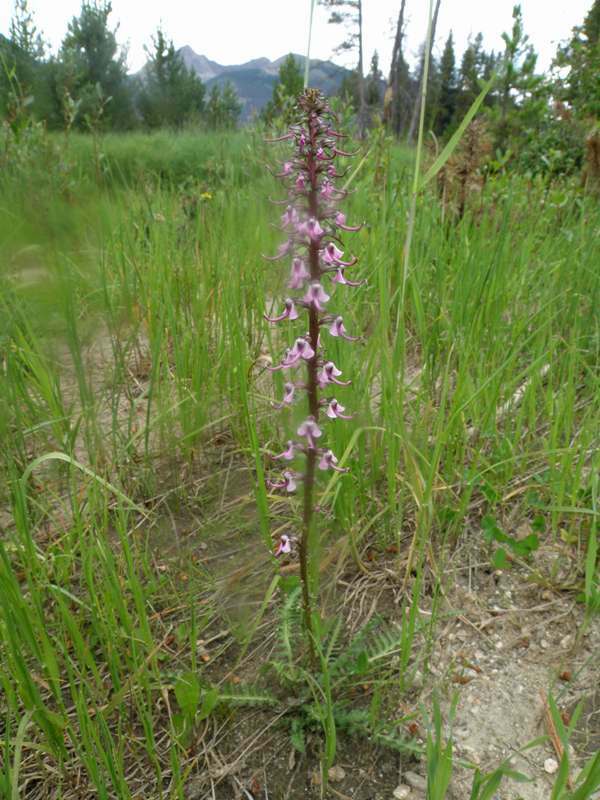 The leaves of Pedicularis groenlandica are typical of louseworts. They look almost fernlike with long, narrow, pinately divided, sharp-toothed lobes. 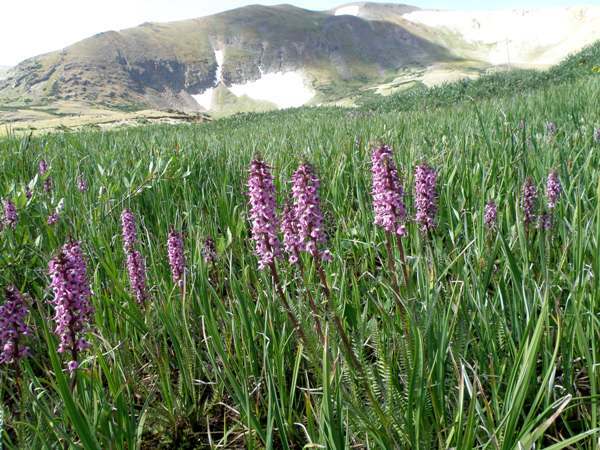 Flowering time in the mountains is August and September.